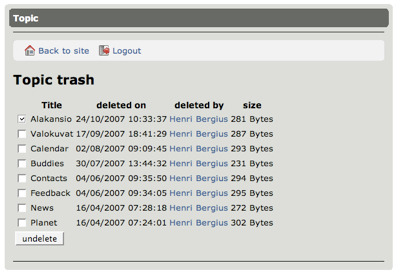 A trash can feature for Midgard was discussed originally in the 2006 Komorniki Midgard developer meeting, and the APIs for it made their way into the 1.8.0 release. 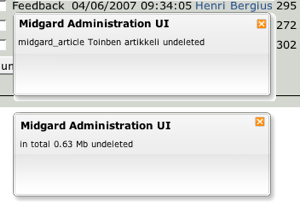 Yesterday I added trash can browsing and undeletion support into Asgard, the new administrative interface. Currently we ask for confirmation, but now that undeletion works we’re going to move to undo instead.